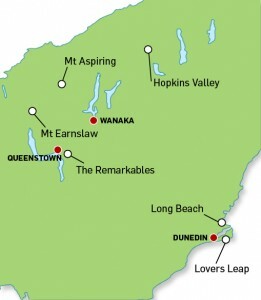 Still smarting from the treachery that resulted in its Central Otago brethren ceding from the union, Otago will take a while to stop calling the Otago Alps its own. Reflecting their Presbyterian heritage, Otagoites are a hardy, suspicious breed and strongly independent. OSONZAC has long considered NZAC as a frivolous and annoying appendage. 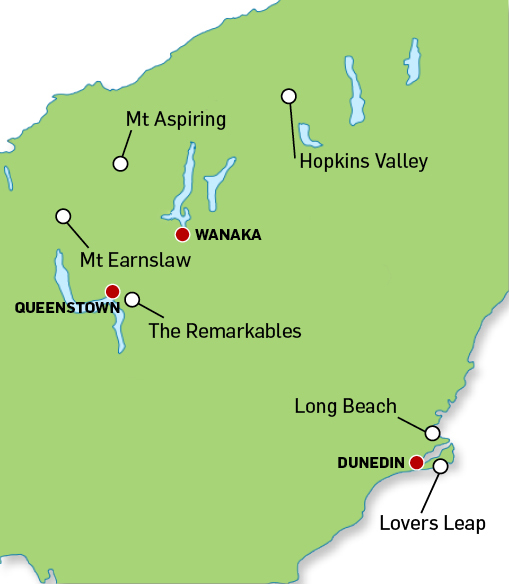 The main local crags of Mihiwaka, Long Beach and Lovers Leap have produced excellent climbers over the years and serve as excellent training grounds for the climbing incubator that is Otago University. OSONZAC is vigorous and independent Section, that has a strong and active base of climbers. Historically one of NZAC strongest Sections, it has benefited from being able to draw upon students at the University of Otago. Many, many great climbers have emerged from the Otago Section. The section is trialling a new, online system for organizing and disseminating information about events organised by their members. Check out the OSONZAC website. Anyone interested in the Club or its services can visit the regular section meetings on the *first Wednesday of the month, 7:30pm, in the Otago University Staff Club, Union Street Central, North Dunedin. The section organises beginner instruction courses (Snowcraft) and these will be advertised in the section newsletter. The Otago Section are responsible for the Aspiring Huts Agreement and as such the following huts come under their jurisdiction: Aspiring, French Ridge, Colin Todd, Cascade and Esquilant Bivvy. The section runs a range of trips throughout the year and is trialling a new, online system for organizing and disseminating information about Club events/trips. Check out the OSONZAC website. Our eight sets of avalanche equipment and eight sets of snowshoes are now available for rent from the new Hunting and Fishing shop, now at 141 Crawford Street, in Dunedin. The new shop is open seven days till 5.30 weekdays, 5pm Saturday and 4pm Sunday. More details at www.huntingandfishing.co.nz . the fee is $10 per day and you will be required to pay a $20 deposit. Members are welcome to collect gear on Friday and return Monday and two day’s rental will apply. If you wish to make other arrangements, please contact Keith or any of the committee and we will sort things out BEFORE you go into the shop. If you have any issues with the gear or rentals, please don’t hassle the staff at Hunting and Fishing as they are doing us a huge favour by running the rental scheme for us.